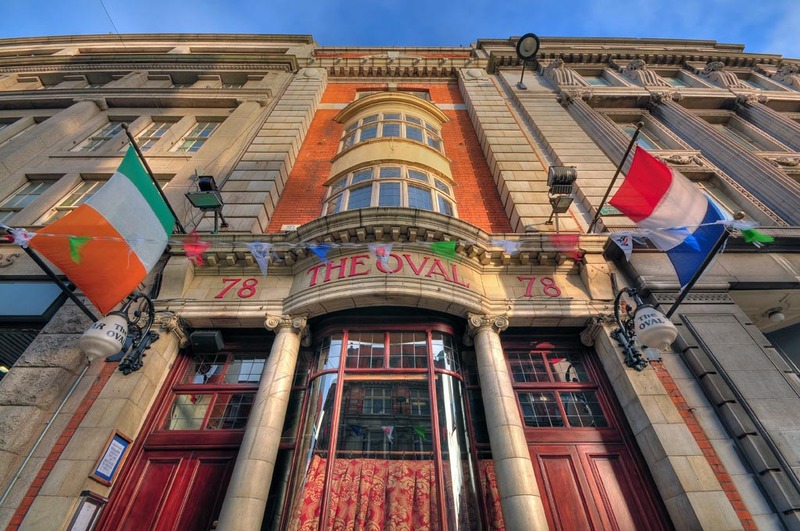 Established in 1820, The Oval Bar is an authentic Irish Pub situated idyllically in the heart of Dublin City. 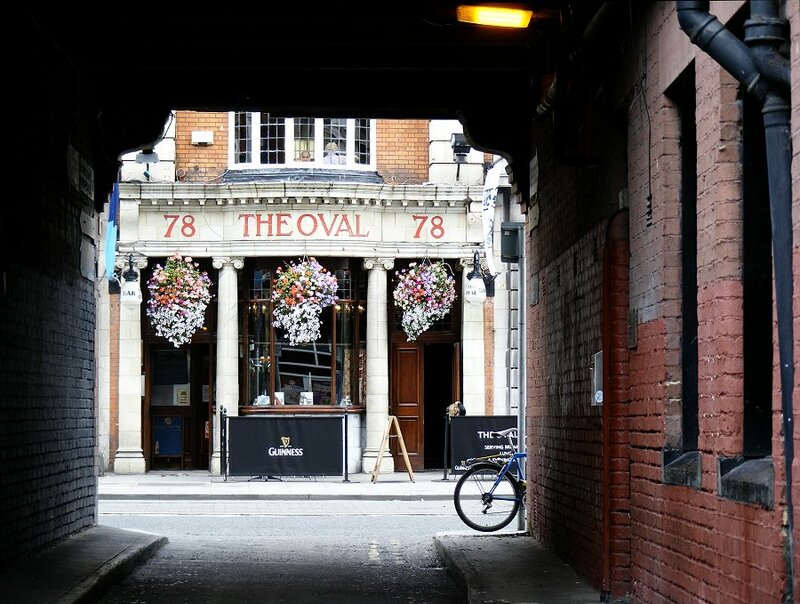 Housed by a beautiful Victorian building with most of its period features still intact, The Oval is the perfect place to escape from the hectic hustle and bustle of the city outside. Located on Middle Abbey Street right at the hub of commercial life in the city, The Oval Bar provides a haven of welcome and warmth for office workers on lunch, busy shoppers looking to recharge their batteries, visiting tourists looking for the ‘Craic’ and music, cinema and theatre goers looking for a bite to eat and a drink before or after their show. Once you step inside you will experience the relaxed and convivial nature of this charming pub. Our Staff are welcoming and friendly and will ensure that your stay is a pleasant one, as you would expect from any of the Chawke Pub Group establishments. With over 3 floors of seating and a large function area with its own private bar facilities available to rent we can accommodate any size group. We also have an outdoor seating area for those lazy Dublin summer evenings. Our kitchen serves a full menu daily with Traditional Irish Stew being one of our specialities! Other dishes on offer can be found on our menu page. Food is served at The Oval from 10.30am to 10pm – Monday to Saturday and from 12.30pm to 9pm on Sundays. The Oval has long been renowned as an exceptional place to watch ‘the match’, we show all the major sporting events on our widescreen HD LCD TVs and has also a great atmosphere for pre or post match celebrations for patrons going to and from GAA Headquarters, Croke Park. Not to mention that we are practically on the St Patrick’s Day parade route. The Oval – home of the best Pint of Guinness in Dublin, try it, you won’t be disappointed! 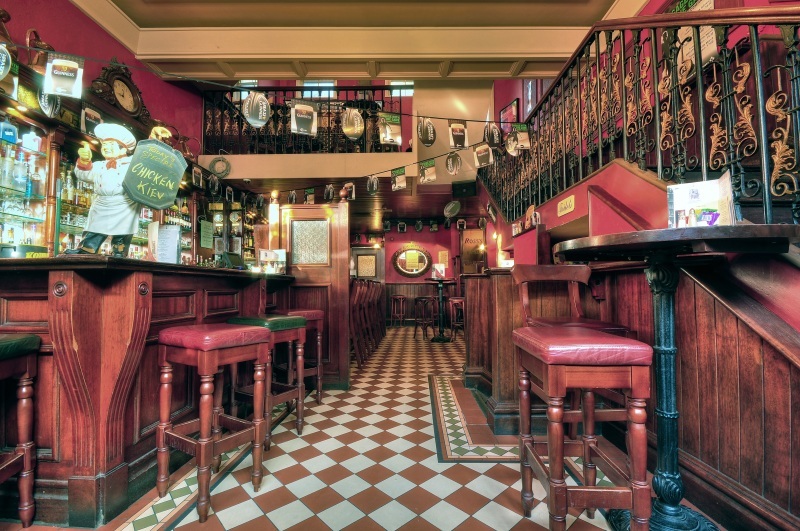 Steeped in the social, cultural and political heritage of Ireland, The Oval is one of Dublin’s most historically fascinating pubs. The Oval is unique amongst Dublin pubs in that it was caught up in the maelstrom of revolution during the 1916 Rising, again during the Civil War in 1922, and though severely damaged has survived as one of Dublin’s great licensed landmarks. But what is most intriguing about The Oval is that it is the only licensed premises in the Abbey Street area that has remained on the same location while involved in the same commercial business since its first licence in 1822. The Oval opened its doors to the citizenry of Dublin in the summer of 1822 when the second city of the British Empire was richly enjoying the fruits of Dubliner Arthur Wellesley, 1st Duke of Wellington’s victory over Napoleon at Waterloo, some eight years earlier. But this was the age of Individualism, and the age of the Temperance Movement which was receiving significant support from the pillars of establishment. And following the American Revolution the British were well aware of how the seeds of revolution could be germinated in taverns. James Cooney was the man behind the pumps here in those halcyon times. James was succeeded here by Daniel Shelly in 1840, who in turn sold out to Bernard Dunne some five years later. The Oval Bar - 78 Middle Abbey Street, Dublin 1.